Although Montana is home to some breathtaking scenery and fun attractions, it isn’t the only place worth visiting. If you’d like to take a few days to see more of this side of the country with us, here are some other locations you might consider. Come see some of the gorgeous landscapes beyond Montana’s borders. Let’s go for a drive and see Utah’s famous red rock at Arches, Zion, or Bryce Canyon. Glacier National Park or Mount Rushmore are a couple of other fantastic contenders, too. Our neighboring states offer great things to see and do: you can check out a casino in Vegas, see Idaho’s capital city in Boise, learn about the westward migration in Salt Lake City, or enjoy the cultural melting pot of Seattle. Wherever you’d like to go, we can take you there! We’re not too far away to visit Utah’s Olympic Park in Park City or to experience the thrill of NASCAR at the Las Vegas Motor Speedway. And, you know, Portland’s Rose Festival is something you don’t want to miss. Regardless of the destination, we’re game for the drive! Sometimes a tour is one of the best ways to do travel. 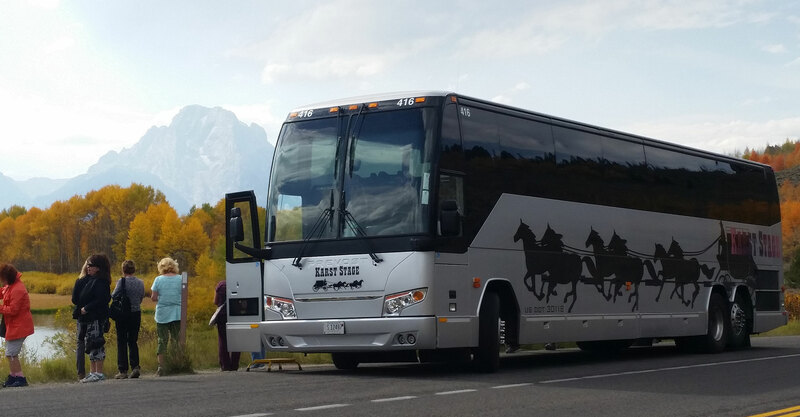 Consider experiencing Vantage Deluxe World Travel’s America’s Magnificent National Parks tour, or seeing the Rockies and the Great Northwest with GrandLuxe Rail Journey. If you want to capture the spirit of the Wild West, we’d love to take you to Vegas for the National Finals Rodeo! Watch roping, bull riding, steer wrestling, barrel racing, and so much more! Make it through the hot days of summer by having fun in the sun at Lake Powell! If you love deep blue water and red rock in sunlight, this is the place for you! Near or far, we have a perfect group transportation solution for you!